Even to the Saudi leaders looking at the consultants' PowerPoint presentation last year, Saudia Arabia's 2020 'National Transformation Plan' must have looked improbable. Unemployment to be cut by a fifth in just three years, 1.2 million additional jobs in five years, half of the Saudi workforce to have jobs in the private sector by 2020. In total, Saudi ministries were given 346 firm targets to achieve. All part of a complete transformation of the economy by 2030 at a cost of at least US$72 billion and probably much more. This was an action plan to move towards the wider Vision 2030, with goals, dates and (of course) key performance indicators. Much of this is to be funded by the public sale of 5% of Saudi Aramco, a move that would require for the first time the publication of detailed and correct accounts for the vast moneybag that sustains the Saudi political system and its international influence. To many, these targets looked ambitious, and over the last few months the Saudi leadership has reached the same conclusion. The unemployment target is to be cut back, and individual ministries have evidently asserted an authority to run their own reforms rather than obey central direction. An amended draft is to be presented next month. In planning, the Saudi leadership is reminding itself, the more the target deadlines can be pushed out, the more likely they are to be achieved (or, if not achieved, amended). The postponements aren't just the result of good sense reasserting itself in Riyadh (with some hard-headed economists evidently going over the numbers); there is also the slowdown in Saudi growth. The urgent problems of 2017 require more attention than the ambitions for 2020, let alone 2030. Add to this the unpleasant reality of oil prices well below the average of the last two decades (and for that matter the somewhat below-average real price of the last half century), and it's clearly getting harder for reformers to argue that now is a good time to start selling Saudi Aramco. But while economic disappointments are important, the overwhelming reason for the plan's revision is that too many political challenges have bunched up at once. Crown Prince Mohammed bin Salman sees the wisdom of slowing the pace. There is the family resentment at Prince Mohammed supplanting his uncle as heir to the 80-year-old King, the ongoing conflict in Yemen, the easing of global sanctions against arch-enemy Iran, the continuing irritation of Shia protests in nearby Bahrain, and now Qatar's so-far successful defiance of the Saudi-run Gulf Cooperation Council. For a ruling family that has survived many worse dangers, these challenges are not particularly troubling. 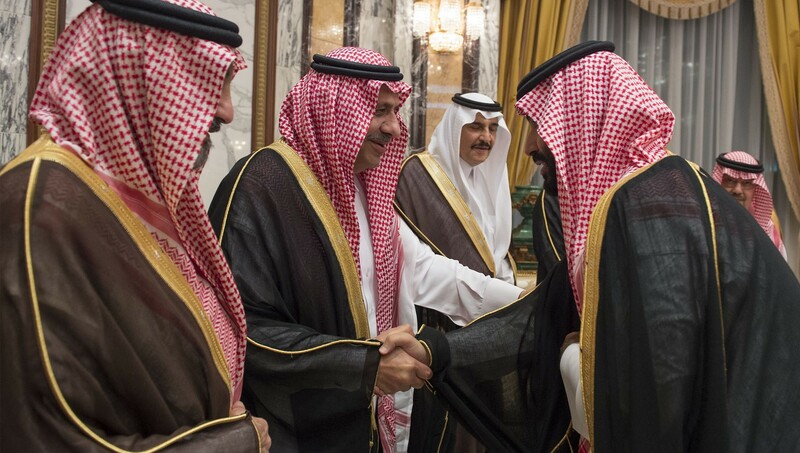 The Saudi royal family manifestly kept its grip during the Arab Spring, the brief rule of the Brotherhood in Egypt, the zenith of Islamic State authority in Syria and Iraq, and the collapse of oil prices in 2014 (largely engineered by the Saudis themselves). But at the heart of the Saudi regime, and of its wealthy neighbours, is discretionary access to very, very large amounts of money. The family's unspoken pact with Saudi citizens is that they will be provided with health and education services, helped with housing, given undemanding and well-paid public service jobs, taxed lowly or not at all, and given early retirement. It is a very expensive compact. And within the ruling family itself, vast wealth is distributed in a manner calculated to reward loyalty and punish disaffection. This is why the brightly titled and altogether standard McKinsey packages of the National Transformation Plan 2020 and the wider Vision 2030 pose a political challenge to the regime like no other. The former may, as it claims, employ 'global best practices in strategy implementation', including the 'launching (of) performance measurement indicator dashboards and implementing (of) the project portfolio management methodology', along with 'the deployment of rapid intervention measures of government bodies should initiatives stall'. Offered as technocratic reforms – with targets, KPIs and indicator dashboards, and all the affectless language of the business school and modern management – the plans cannot be implemented without amending Saudi Arabia's political configuration. There will be winners and losers, but the winners are in the future, while the losers are here right now. Vision 2030 cannot be financed at the scale intended without opening Saudi Aramco's books to the untiring scrutiny of global markets and of Saudi citizens, enhancing the authority of its professional management and raising endless questions about quite how the revenues are spent. The plan's objective is to shift Saudi employees more rapidly from the public sector to the private sector, a transition already straining the goodwill of younger Saudis observing older generations enjoying benefits denied to them. The plan imagines new taxes and fewer subsidies, and requires central control over ministers and ministries accustomed to running their own shows. These are not religious issues, not issues of freedom or democracy or even of regional foreign policy or the Saudi alliance with the US, all customary points of discord in the Saudi polity. The economic issues are deeper than all of these because they are at the core of the regime's power. Little wonder the pace of reform is slowing. But Prince Mohammed is also young enough to know that some viable alternative to an oil-dependent economy must be developed within his lifetime, if the House of Saud is survive a generation or two beyond his own.